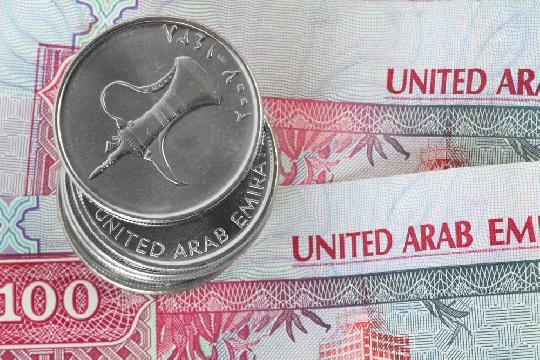 The Emirati Dirham is the official currency used in Dubai. The official abbreviation is 'AED', but 'DH' or 'Dhs' are both commonly used unofficial abreviations. 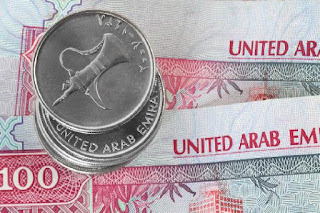 A price of 25 Emirati Dirhams, for example, will be displayed as AED25, 25DH, or 25Dhs. What's unique about this city though, is that when you make purchases with your credit or debit card, the vendor allows you to select whether you choose to pay in dirhams or your own country's currency, making it a delightfully simple and uncomplicated process. I bought a drink at my hotel bar one evening, and when my bill came, the price was 100Dhs. When they processed the card payment, they handed me the machine with my card still inserted, and allowed me to select whether to pay either 100 Emirati Dirhams or the converted currency in my country; in this case, USD$28.21, and there were no fees. Confirm these policies with your bank. When I first arrived at Dubai Airport, I headed to a cash machine and took out 1000 dirhams (or roughly USD$272, GBP£209, EUR€237). The machine charged me a transaction fee of 20AED. Cash machines in hotels and other establishments may charge a little more (25AED), but in grand scheme of the conversion rate, it s a very small price to pay. The airport also offers a currency exchange counter should you prefer to handle this transaction in person. 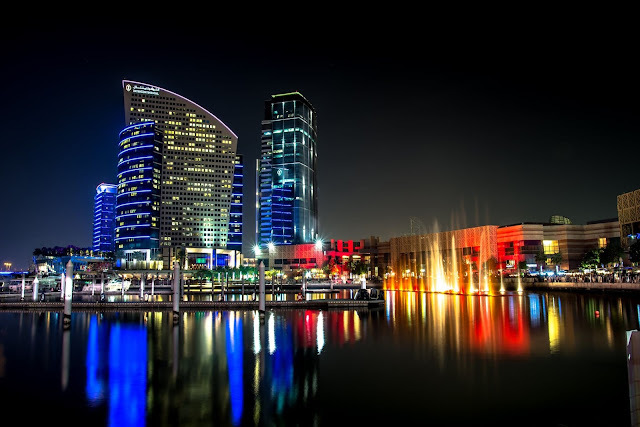 If you don't traditionally like to carry around cash, and you don't have transaction fees associated with your credit or debit card, Dubai is a safe city to use your card to make purchases. However, it is recommended that you get at least 500Dhs upon arrival at the airport to have some cash on hand for transportation from the airport, tipping service personnel, and other incidentals. Remember, Dubai is a tax-free zone, and tipping is always appreciated where appropriate. 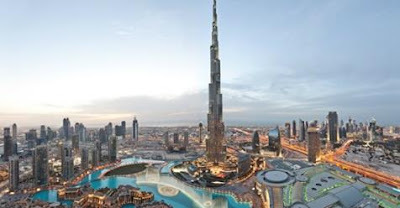 Check the conversion rate for Emirati Dirhams against the currency from your country below. Conversion rates are current and up-to-the-minute.